A while back I put together a round up of tote bag and purse patterns that were fast and easy to sew... but I just keep adding more and more bag patterns and tutorials to my blog so that old round up is already out of date! What can I say... a girl can never have too many bags! So Pin this post, ladies... I'm going to add new purse and tote bag patterns regularly. Make sure you check back whenever you need a new purse or tote bag because you might just find exactly the pattern you want! DIY Clutch Bag Pattern with a built in zipper pouch. Sew up this shopping tote pattern for a roomy, beautiful bag! Sew Teacher Tote Bags with optional machine embroidery (free design). This Fish Shaped Beach Bag has optional mesh at the bottom to let the sand fall out. The Cross Body Zipper Tote is so fast and easy to make... you'll sew them for all the girls you know (but make sure to make one for yourself too)! 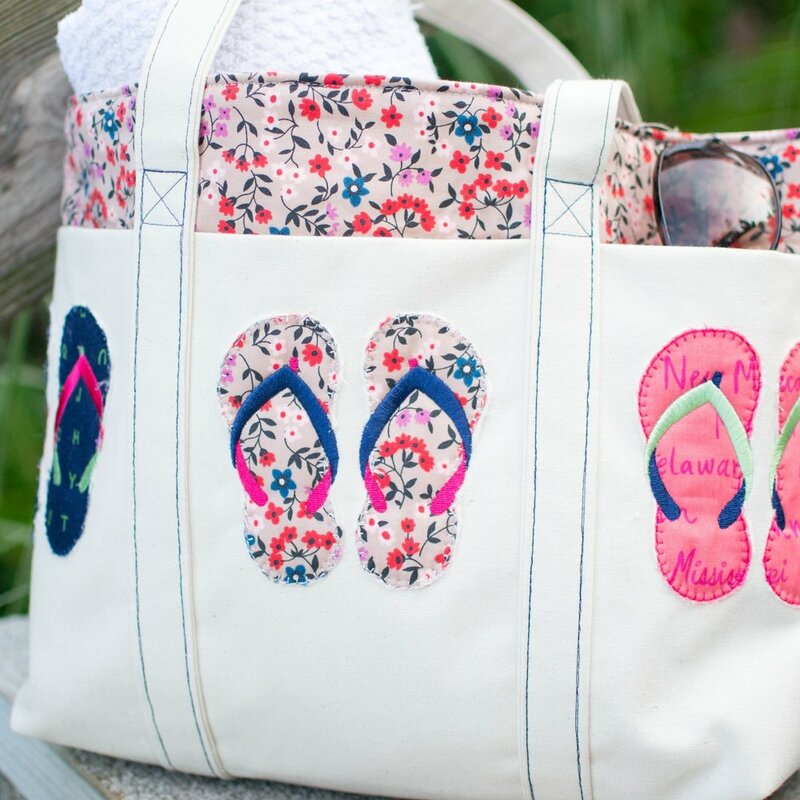 Sew up a tote that's perfect for the beach with adorable flip flop machine embroidered applique! If you don't have an embroidery machine you can use other applique designs and still have 3 cute exterior pockets. No list of bag patterns would be complete without Noodlehead's famous Cargo Tote... I know you love it! The Arial Tote is a cute bucket bag with a phone pocket inside. The Tote with Many Pockets. Cutting and fusing interfacing take up most of your time here. Use a home decor weight fabric so you can skip the interfacing! The Basket Tote. Skip the quilting and use fusible fleece instead for a fast sew! You could also skip the piping, but I don't recommend that - it's such a pretty touch. My Speedy Patchwork Totes use gridded interfacing for quick piecing. Make them as large or small as you want (just like the tote bag in my Craftsy Class!). 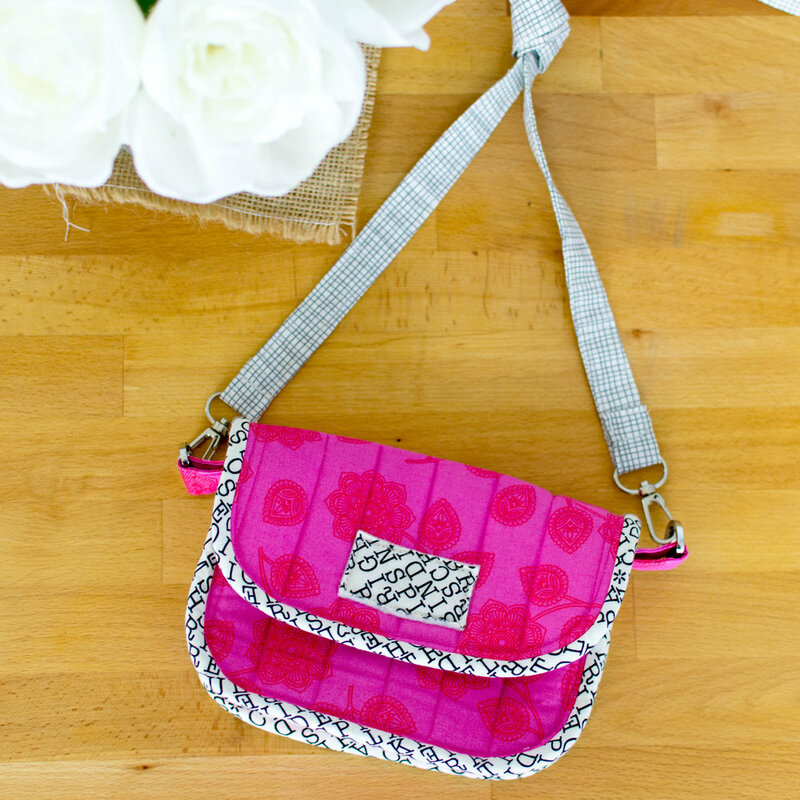 The Picnic Tote makes a beautiful purse with pockets inside - and it's really a lot simpler to make than it looks! The Chubby Lunch Tote is big enough to use for other things, and super fast! The Cross Body Convertible Tote. No alterations needed here - it was already fast. Sew both these cute totes from a yard of fabric with the One Yard Magic Bag Pattern! There are lots of options for the handles too. This Japanese Style Tote bag is even faster to sew if you skip the patchwork on the lining. No handles to sew plus a simple design make the Rope Handled Tote a breeze! 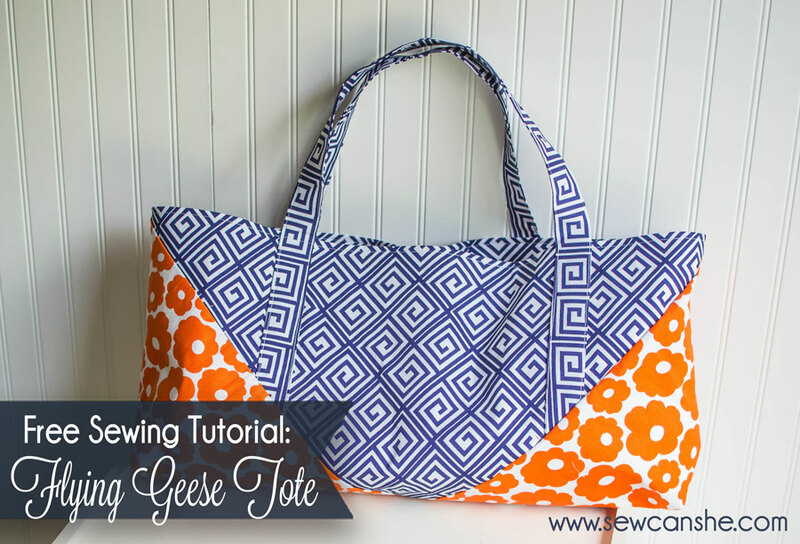 The Flying Geese Tote is fast to make and really big! If you skip the quilting on the Sweet Quilted Tote it will sew up in no time. Or spend 20 fun minutes quilting - I would! This Little Book Bag with a pocket on front uses canvas so there's no lining! The 1 Yard Magic Hobo Bag. Seriously, 1 yard, 1 hour, and you'll be done. I promise! Make 2 messenger bags from 1 yard in under an hour with the 1 Yard Magic Messenger Bag. Hallelujah! I thought you might also like this!